Fall has arrived in my neck of the woods, and I hear from my people all over the country that autumn’s warm flannel sheets have spread themselves across most of the country this week. Between coming down with a cold last week, and then having temperatures drop into the 40s, sweater weather and my favorite season both seem finally upon us. I spent the weekend huddled inside, under a hand-knit Nana blanket, sniffling and grading student papers, wearing cashmere socks. A stew seemed only appropriate. In the autumn, I also always think of my time in Montana, so the buffalo stew meat in my freezer was calling to me. I’m in a Western, autumnal state of mind. 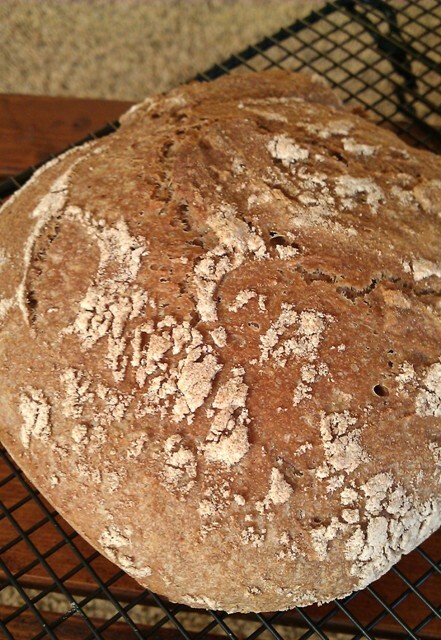 I decided to get some crusty, no-knead wheat bread going. 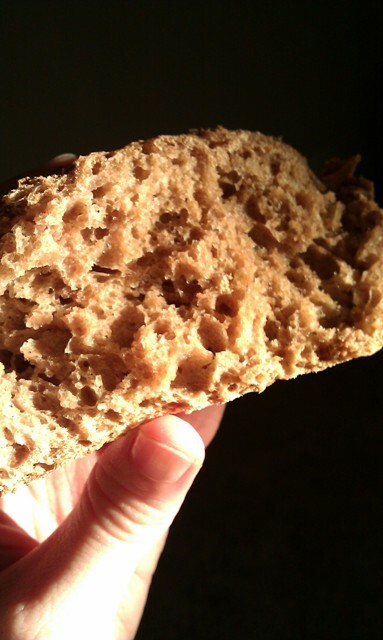 For those unfamiliar with the no-knead crusty bread craze, here’s a great explanation and recipe from Mark Bittman who lit the fuse five years ago. Knowing that the bread would be rising for a good 18 hours made me anticipate this stew just about as long. And it did not disappoint. 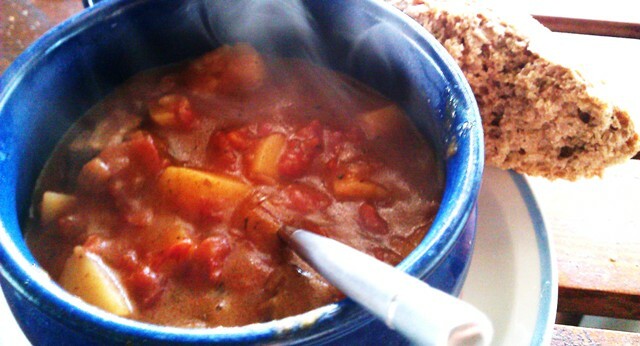 Sunday morning, I found this buffalo stew recipe online. The Buckhorn’s recipe seemed perfect for several reasons. First, it’s from a restaurant in Denver, and I’d imagine the Coloradoans knows how to cook their buffalo. Second, it included bourbon. I won’t keep you all in suspense. Four stars. Consider this recipe in the regular rotation. The tomatoes and bourbon added a delicious complexity to the traditional brown stew gravy, which was beautifully thick (perfect for mopping up with crusty bread). The cooking time was manageable — for a stew to last only about an hour including prep time is pretty impressive — and the flavor was well-developed. And because I hadn’t cooked buffalo sirloin tips before (only buffalo burgers, a summer yum!) I appreciated having a recipe to follow that produced really tender, flavorful meat. Previous Post Turkey Meatball Reubens — Superfast Meets Superhealthy!